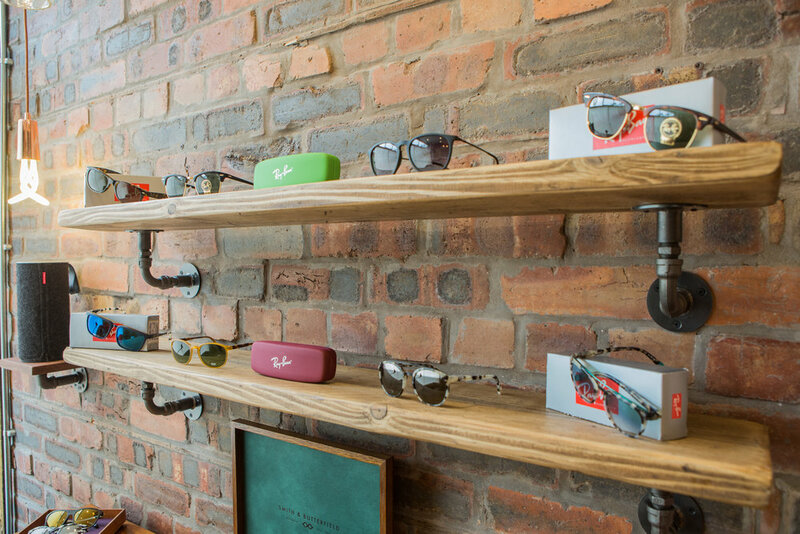 Smith & Butterfield is the stylish and exciting new branding of our established, independent Optometric practice. We pride ourselves on giving patients the diligent service they deserve, whether it be for an eye test, one of our clinical services, or for the supply of spectacle and contact lenses. We have a long history dating back to 1926, when William Cowen opened an optical practice in Keswick. His son Donald, continued in his father’s footsteps and moved the practice here to Southey Street. Katharine Butterfield, a family friend of Don succeeded him in 1999, and since then her husband, Stephen, joined the practice as an Optometrist. In 2009 Paul Smith joined us as dispensing manager, and in partnership with him we have become Smith & Butterfield. We have invested substantially in new technology and equipment, ensuring that our Optometrists can provide you with the highest standard of eye care. Paul draws upon his considerable experience to advise on choosing the right frame for you from our carefully selected range. He is able to offer the latest in spectacle lens technology, utilising a wide range of manufacturers such as Carl Zeiss and Essilor. The photography on this website was kindly provided by Benjamin Paul and Robert Duncalf.